We’d love your help. 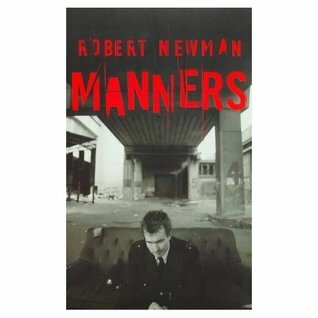 Let us know what’s wrong with this preview of Manners by Robert Newman. To ask other readers questions about Manners, please sign up. Awful.Gave up very quickly. Hard to believe this was written by the same person as wrote The Fountain at the Centre of the World. This book was an easier read that I thought that it may be. It is the story of a Police Officers tumble into madness after he was involved in the death of a villain. The end of the book is much harder work as he sinks further and further into his own mind. Thank you Netgalley for this review copy in exchange for an honest review. John Manners is an idealistic policeman who finds himself in a life and death battle when trying to apprehend a suspect. The suspect ends up dead and whilst waiting to be tried Manners is put on suspension. He begins to look back on his life and how he has got to this point in his life and slowly he begins to realise his whole identity is wrapped up in been a police officer. He gets a scanner and becomes almost a one man p Thank you Netgalley for this review copy in exchange for an honest review. John Manners is an idealistic policeman who finds himself in a life and death battle when trying to apprehend a suspect. The suspect ends up dead and whilst waiting to be tried Manners is put on suspension. He begins to look back on his life and how he has got to this point in his life and slowly he begins to realise his whole identity is wrapped up in been a police officer. He gets a scanner and becomes almost a one man police force. He's not a vigilante, he's actually trying to do the job he feels compelled to do. But it becomes clear all in not well in his mind and he begins to unravel. I was intrigued to read this book. I've been following Robert Newman since he was simply Rob Newman from his mainstream days to his more off the beaten track ideological comedy. And that ideological dare I even say lefty stance is very prevalent in this book. But it's a very self aware stance. Manners is on the surface an idealist and liberal but his inner monologue and slightly off colour jokes (which he knows are off colour and feels a bit guilty about...but does it anyway) reveal the real person. And it's easy to recognise yourself in that. And that's almost what makes the descent of Manners all the more disturbing. Sometimes when you walk through a city you might wonder how people end up where they are. This book pretty much explains how it could happen. Delicious show-off of knowledge of North-London streets and atmosphere. But not too sure I buy the rest. Especially I don't like the idea of a woman 'enjoying' physical violence. Too much of a male fantasy for it to sound real, let alone what message is intended to the readership, hey, try this, women are likely to enjoy extreme violence? Then the narrator goes mad and homeless. I missed some explanation of the steps that people who care always take to at least try avoid this happening, and this Delicious show-off of knowledge of North-London streets and atmosphere. Then the narrator goes mad and homeless. I missed some explanation of the steps that people who care always take to at least try avoid this happening, and this man did have people around him who cared. I actually really liked this book. I'm not giving away more than it says on the back cover by saying its all about a policeman who accidently kills a suspect while making an arrest and get suspended. Basically its all written from his viewpoint and you're seeing him slowly go mad, so by the end its quite hard to follow his thoughts but somehow that doesn't spoil the read. I found it very believable and quite thought-provoking. I'd say its one of the best books I've read so far this year. Some bum notes, but on the whole this might just be the best novel I've read yet by a former comedian. Or is he still a comedian? Whatever. The bits that lifted a fairly average story were the lefty politics, funnily enough. They date the novel, they may be a bit earnest, even a bit forced, but I could tell they were certainly sincere, and accurately targeted. Might try some more of the authors stuff. Robert ("Rob") Newman (born 7 July 1964) is a British stand-up comedian, author and political activist. In 1993 Newman and his then comedy partner David Baddiel became the first comedians to play and sell out the 12,000-seat Wembley Arena in London. He was born to a Greek Cypriot father and British mother. Newman Librarian Note: There is more than one author with this name in the Goodreads database.